Broken springs are one of the most common repair jobs we do on a weekly basis. 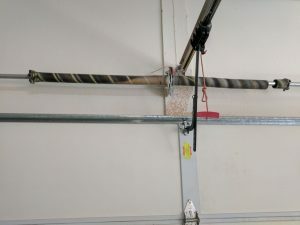 The most common issue we encounter related to springs is springs that are the wrong size for the garage door. The springs job is to support the weight of the door while it is operating. 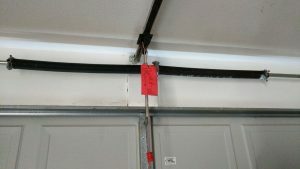 This not only is a safety issue, it also ensures your other garage door parts, especially your opener, is supported. Springs that are too small can cause your opener to work harder to compensate, and also wear out faster. 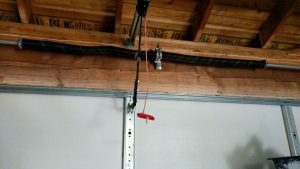 We generally recommend two springs for a garage door, especially all 2 car garage doors. Two springs help support the weight best, and can give you a longer lifespan of your springs, so the ROI over the long run is good. Below are some pictures of recent spring repairs we have done. This is what a standard broken single spring looks like. We not only upgraded the one broken spring, to two new ones. We also reinforced the garage door. Springs generally last longer when a dual spring system is installed. It better supports the weight of the door and allows the garage door opener to work for longer before wearing out. There is always some apprehension to upgrading to a dual spring system. 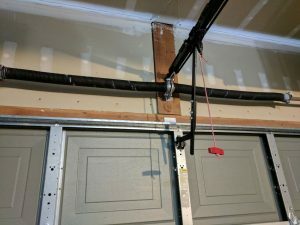 It is more expensive upfront, but the life you get out of not just the springs, but your other garage door parts, more than makes up for the difference. Here you have another broken single spring. Here is another example of a broken spring. Above you see a broken spring on a new construction home. The home was built by a big building company. 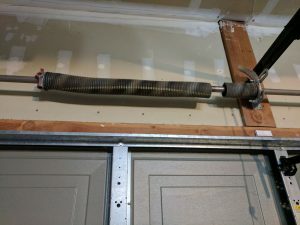 They often take the easy and cheap route, which means they only use 1 heavy duty torsion spring on a double car garage door. This saves them money upfront, but doesn’t give as much life as a dual spring system does. 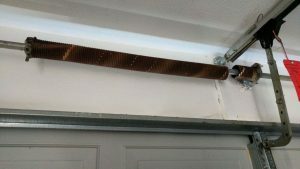 A double garage door, like below, will function longer and better with two springs installed. Broken Spring #4: What to do if your spring is broken! In this case, the spring broke in two places! 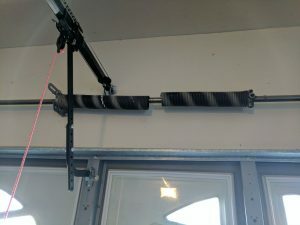 We quickly installed two new springs, and good as new. If you notice your spring is broken, call a Garage Door Professional right away! 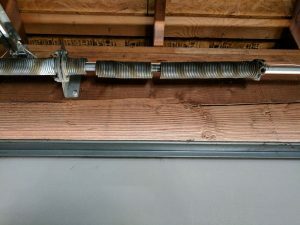 It can be dangerous to operate your garage door with a broken spring, and repairing it requires securing the garage door properly in order to remove the old spring and install a new one.